The exhibition presents three works of art that focus on the diﬀerent ways we “experience” the refugee/migration crisis from a certain distance, that of the observer, while exploring the problematic of the gaze. The diﬀerent ways of seeing are integral to the social processes of deﬁning and controlling the Other, and are inherent in photography as an objectifying practice. 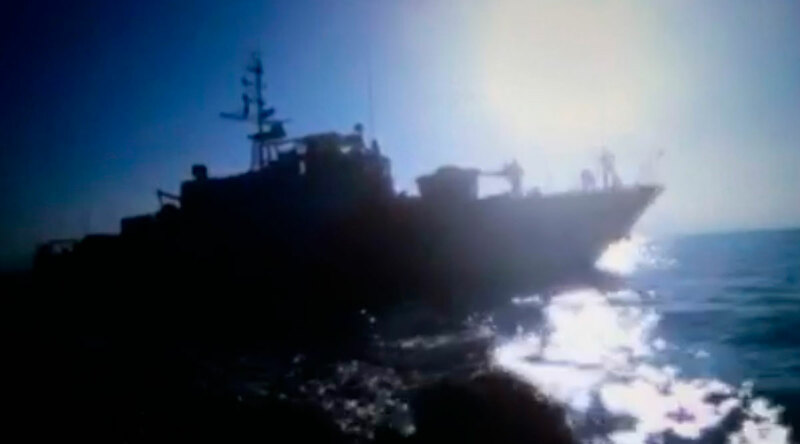 The Bureaucracy of Angels by Adam Broomberg and Oliver Chanarin documents the destroying of 100 lifeboats used by migrants going from Africa to Sicily in 2016. 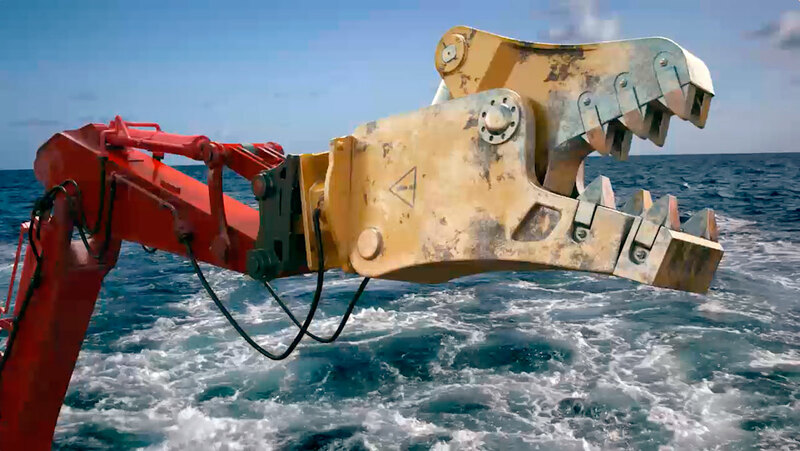 The narration unfolds through the lyrical “song” of the excavator used to tear the boats into pieces. The Sicilian ballad Terra ca nun senti (that lends its lyrics to the title of this exhibition) talks about the pain and fear that refugees and migrants –from and to Europe–have been experiencing for the past 150 years. 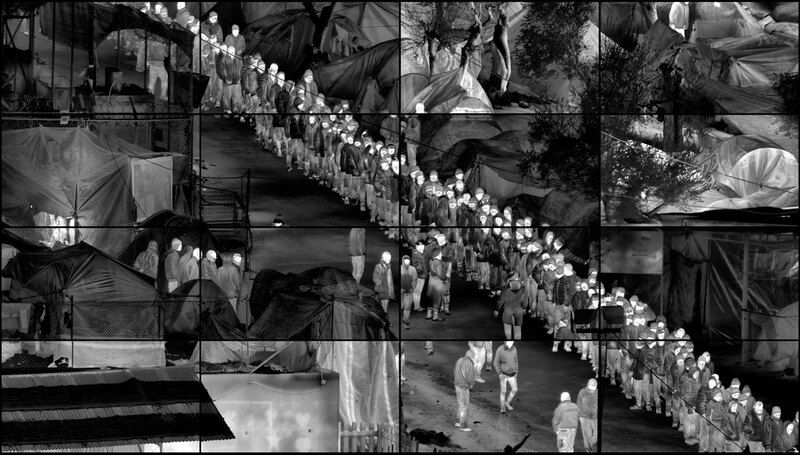 Grid (Moria) by Richard Mosse documents the Moria refugee camp on the island of Lesbos, using a powerful new military-grade border enforcement camera that can image human body heat from a distance of 30.3km. This durational photograph is presented across an array of sixteen ﬂat-screen monitors. Reading heat as both metaphor and index, Grid (Moria) allows the viewer to contemplate on the current conditions of the refugees through ideas of body warmth, hypothermia, physical vulnerability, mortality, biopolitics, and the erosion of human rights. Uprooted by Daphne Tolis presents the way that refugees and migrants record their adventures using their mobile phones –with the artist’s minimum intervention. Thus, Tolis refrains from documenting the situation through her lens and attempts to reverse the process of objectiﬁcation. 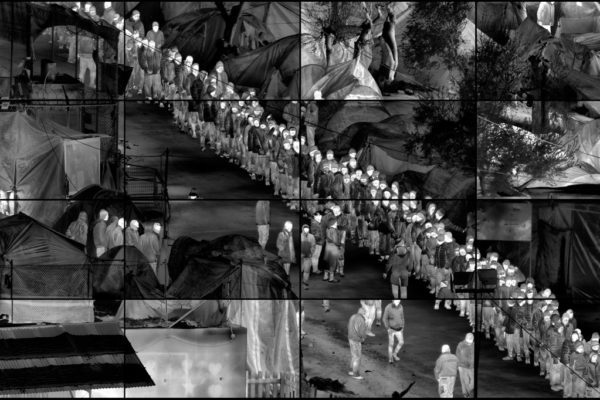 Nowadays, when the refugee/migration crisis has degenerated into a numb normality for the West, full of tragic but distant images, this exhibition aims to look into the processes of observation, surveillance, recording, and interpretation, all crucial components of a crisis that results, day aﬅer day, in thousands of people dying or being taken hostages.